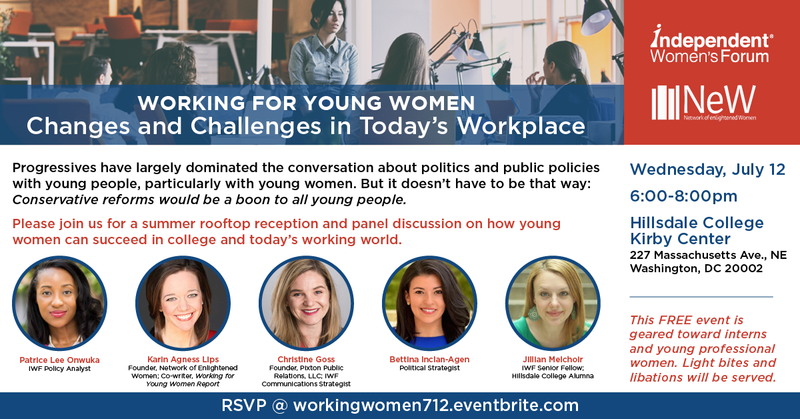 (WASHINGTON, DC) -- On Wednesday, July 12, Independent Women's Forum (IWF) will host Working for Young Women: Changes and Challenges in Today's Workplace panel discussion. We all want young people to succeed in living out their dreams – whether those dreams are to go to college, start a small business, become a company CEO, buy a house, get married or start a family. Progressives have largely dominated the conversation about politics and public policies with young people, particularly with young women. 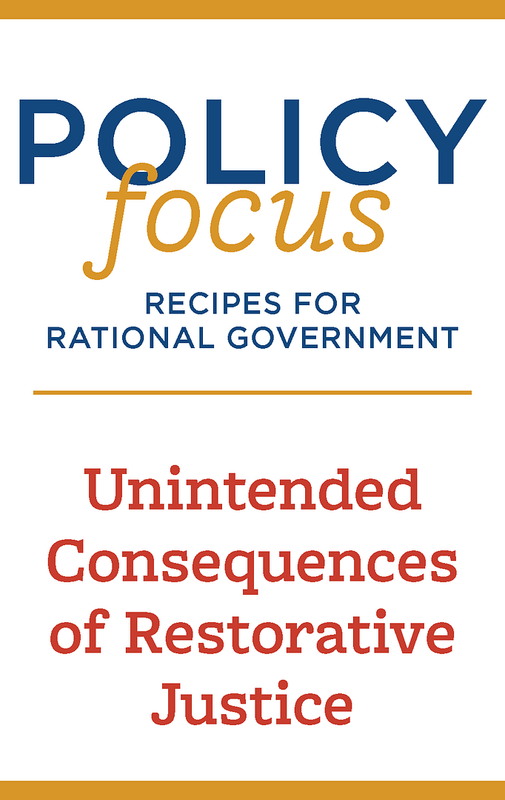 But it doesn’t have to be that way: Conservative policy reforms would be a boon to young people, including young women. Panelists Karin Agness Lips, founder of the Network of enlightened Women, Christine Goss, founder of Pixton Public Relations, Bettina Inclan-Agen, seasoned communications and political strategist with an expertise on women and hispanics, Jillian Melchior, senior fellow at IWF, and moderator Patrice Lee Onwuka, senior policy analyst at IWF, will discuss how to help young Americans achieve their dreams by creating the conditions that promote a fairer, more dynamic society with greater opportunity and more freedom for people like them.